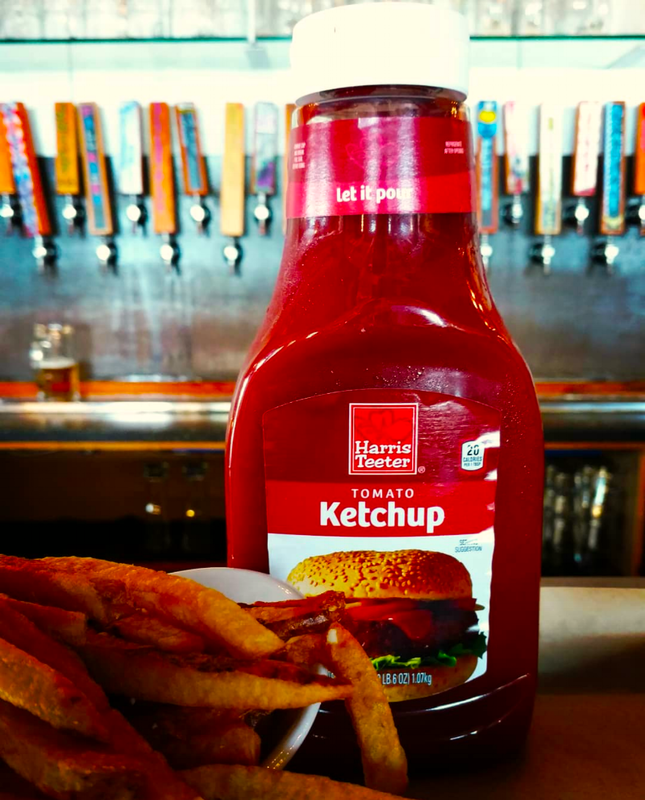 Harris Teeter wins Brandefy's Ketchup Madness 2018! To see all of our reviews comparing name brand products to their store brand duplicates, download our app! In a shocking upset, the lowest-seeded entry in the bracket takes home the championship! In a tomato-tournament full of surprises, we judged Harris Teeter's Tomato Ketchup to taste the most like the Grandaddy of them All, the people's favorite, Heinz. With July 4th barbecues lighting up in just two days, we recommend getting your ketchup from Harris Teeter if you want to save. That leaves more money for cocktails! (Editor's note: we meant to say vegetables.) So how did the results shake out? Read on to find out. In the opening comparison, Harris Teeter dethroned the largest grocery chain in the United States for a stunning upset. Kroger had a more watery consistency than Heinz or HT, and had additional flavors in its palette that were not found in the Heinz. Winner: Harris Teeter! In the other first round upset, Wegmans staged a miraculous come-from-behind victory over the behemoth itself, Walmart. The initial odds didn't look good for "the Wegs," as Walmart was by far the closest visual match to Heinz of any of our competitors. In its color and consistency, Walmart's ketchup looked like an exact duplicate! We commend Walmart on its attempted mimcry, but when it came to the tasting, Wegmans eked by. While neither store brand was as smoky as the Heinz, the Walmart had a subtle sour taste that proved to be its Achilles heel. Winner: Wegmans! The first favorite to win its first round battle, Target, bounced back from its low score in viscosity--it was considerably more watery than the Aldi or Heinz--to win on the strength of its flavor profile. We found the Aldi 'maters to have a strong aftertaste that deviated significantly from the taste of Heinz. Winner: Target! In our first and only semifinal, our judges had to make a tough call. These two themselves were very comparable; both were lighter than the Heinz and featured a more watery consistency than the benchmark. At the end of the day, we thought Wegmans tasted a bit closer to the Heinz, and our finals matchup was set--with our two lowest seeds! (Who doesn't love a Cinderella story?) Winner: Wegmans! From its very first comparison versus Kroger, our testers thought the Harris Teeter ketchup had a path to victory. Their initial impressions turned out to be prescient as Harris Teeter beat back Wegmans in the finals to win the crown as the store brand ketchup closest to Heinz! It was a back-and-forth grudge match between these regional grocers, but ultimately the Wegmans was too sweet compared to the smoky, salty Heinz. Congrats to Harris Teeter, the champion of Brandefy's 2018 Ketchup Madness Tournament! Will they be able to defend their title next year? We can't wait to find out! And from everyone at Brandefy, have an excellent 4th of July!